Antonio García is group experience director at Rightpoint. Previously, he helped launch Northern Lab, which is Northern Trust’s internal innovation accelerator—and led gravitytank’s interaction design discipline and social innovation practice. Prior to working in innovation, he served as strategic director of Firebelly. Garcia is AIGA Chicago’s VP of diversity and inclusion and teaches visual storytelling and communication design at Northwestern University’s Segal Design Institute. Previously, he taught customer discovery as part of University of Chicago’s Polsky Center Entrepreneurship Essentials. A frequent contributor to community conversations on the topics of diversity, culture and creativity—Garcia believes design’s sole function is to cause change. End user empathy will get a product to parity. Extending that empathy to clients, teams and oneself can help push product and service experiences farther. But what about a post-empathy design future where “perspective-taking” and bearing witness to another is simply not enough? 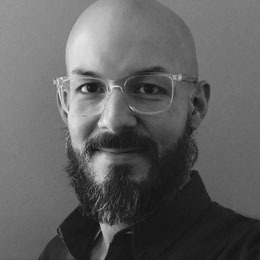 Antonio Garcia of Rightpoint will explore the value (and limits) of empathy, when design research fails us and what creators can do next.